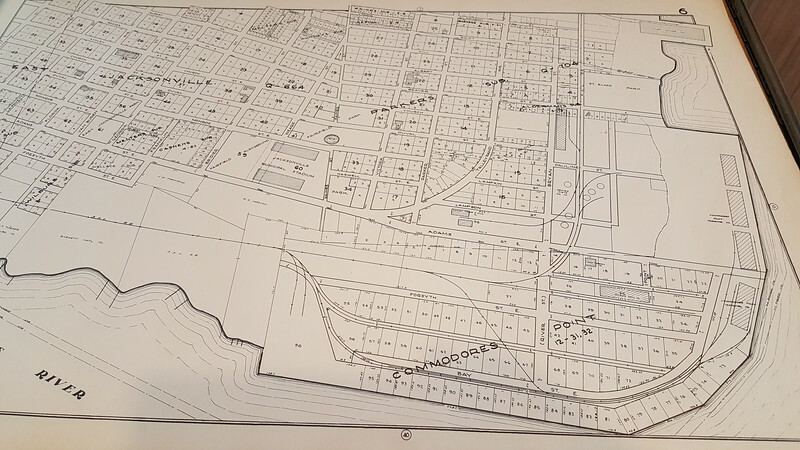 The mixing of sports, entertainment and heavy industry gave birth to one of the first incorporated towns in Duval County nearly 140 years ago. Now located under the belly of the Mathews Bridge and a popular tailgating spot for Jacksonville Jaguars games, here’s the story behind the neighborhood of Fairfield. Prior to the civil war, the area east of Jacksonville and Hogans Creek was a sparsely populated place littered with sawmills along the St. Johns River. What would become known as Fairfield, materialized in 1868 with the arrival of Jacob S. Parker, a New Yorker who acquired over 150 riverfront acres. To promote development, Parker worked to get a road built between Jacksonville and the suburb of Panama Park, with a path that would penetrate his property. Now known as Talleyrand Avenue, the East End Shell Road opened as a toll facility in 1873, becoming one of the first paved roads in the region. With an adequate connection to Jacksonville and Panama Park, that same year, Parker attracted developers to open the Roseland Hotel along the riverfront as present day Clarkson Street. The three story hotel quickly became of the area’s most popular destinations during the Gilded Age, as Jacksonville became a major winter destination for the rich and famous. 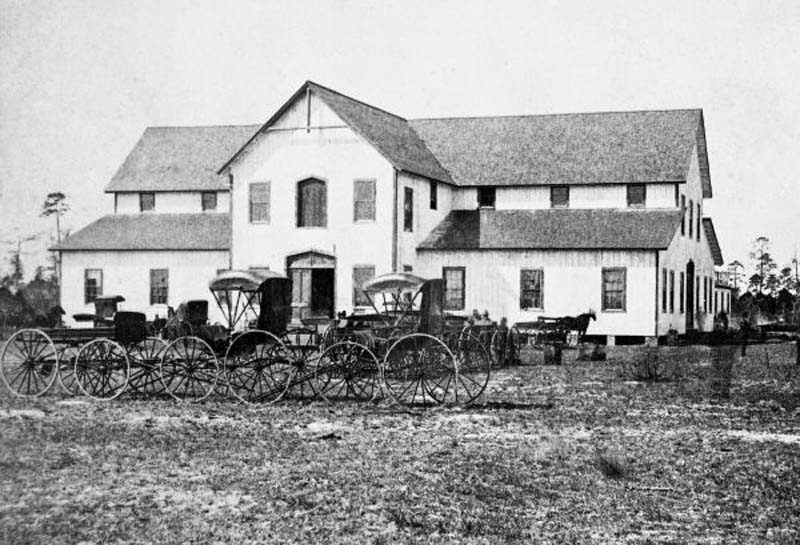 In 1876, fairgrounds were established on the northernmost portion of Parker’s property, with Parker serving as the manager of the first Florida state fair. Featuring an oval track for horse racing, it transformed the growing suburb into the region’s most important sports and entertainment district. With the Roseland Hotel and fairgrounds positioned as major destinations for tourist, Henry B. Plant extended his Jacksonville Street Railway from Jacksonville the intersection of Talleyrand Avenue and Wambolt Street during the fall of 1880. Still seven years before Frank J. Sprague’s invention of the electric streetcar system, Plant’s streetcars were referred to as “hay burners” due to them being pulled by mules. In 1882, the community was incorporated as a town, with Parker being elected as its first mayor. Due to the fair’s popularity, the surrounding community became known as the Town of Fairfield. Fairfield didn’t remain an independent city for long. In 1887, its 543 residents were annexed into the City of Jacksonville. 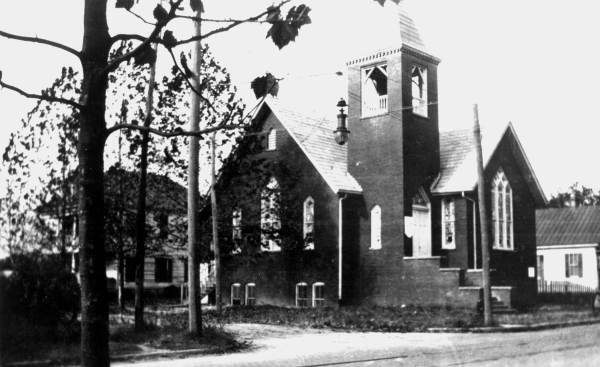 Through the end of the 19th century, Fairfield largely remained a residential community. After the Great Fire of 1901, things would change forever. In the decade following the destruction of Jacksonville, it became major player in the city’s rebuilding effort, with both the Seaboard Air Line (SAL) and the Atlantic Coast Line (ACL) railroads opening lumber terminals along Fairfield’s riverfront. Public investments in the rapidly growing neighborhood included the opening of Fairfield Park in 1909 and Public School Number 9 in 1910. 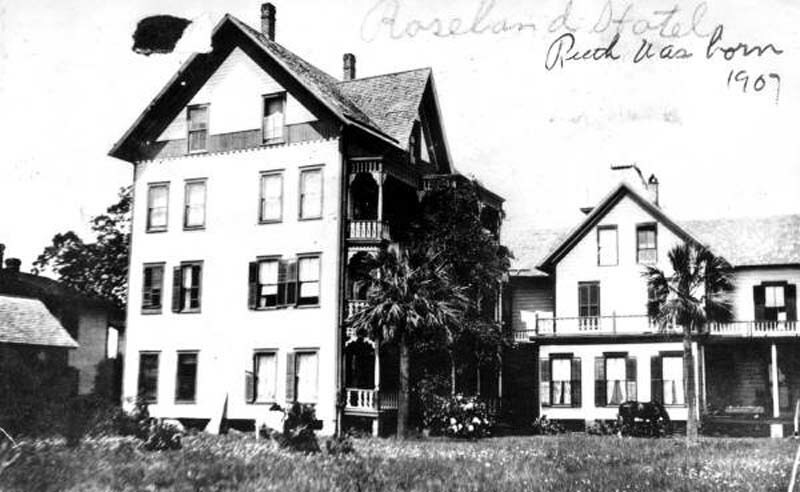 In addition, Fairfield gave birth to a new Jacksonville industry, attracting New York-based Kalem Studios to become the first company to open a permanent film studio at the old Roseland Hotel in 1908. 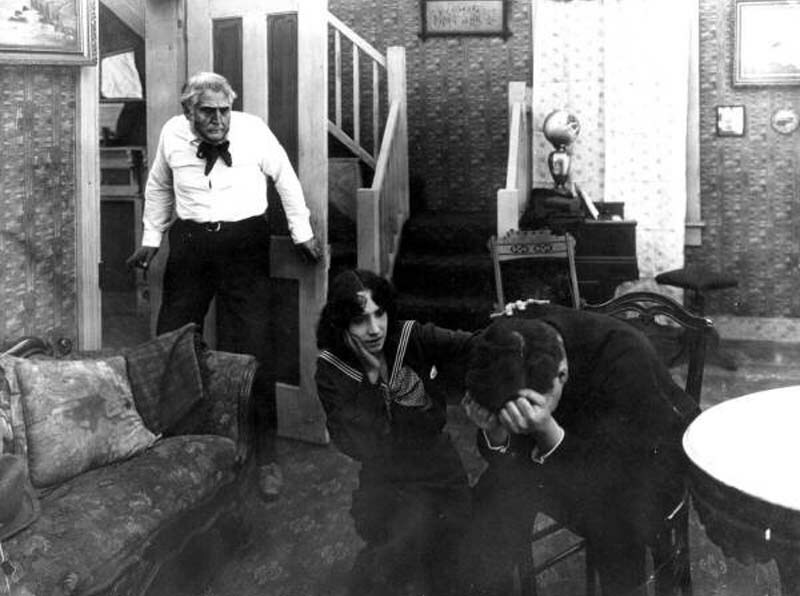 By 1916, Jacksonville had grown to become the silent film industry’s winter filming capital of the world, launching the careers of actors like Oliver Hardy and studios like Metro (the “Metro” in Metro-Goldwyn-Mayer or MGM). With rail service provided by the ACL and SCL, local businessmen A.G. Cummer, George H. Baldwin, J.M Baker, and S.W. Marshall established the Commodores Point Terminal Company in 1915, filling in Fairfield marshland into one mile of riverfront bulkhead and 135 acres of land dedicated to naval stores, warehousing, manufacturing and shipping terminals. Fairfield become an experimental shipbuilding center during World War I, with Toledo-based Anderton Bentley & Sons Company establishing a shipyard at the base of Beaver Street in 1918 as a part of the US Government’s Emergency Fleet Corporation’s attempt to develop concrete ships for the war effort. 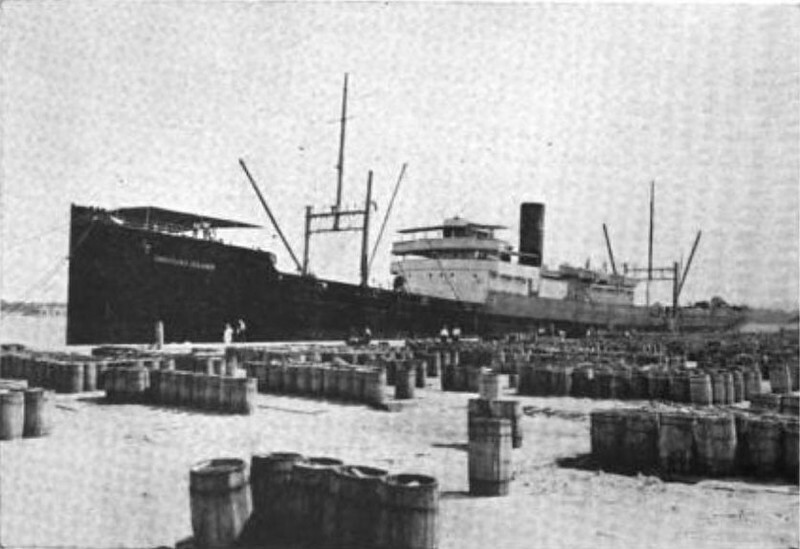 By the time the concrete ship program was canceled in 1921, two 7,500 concrete tankers had been launched from the site. 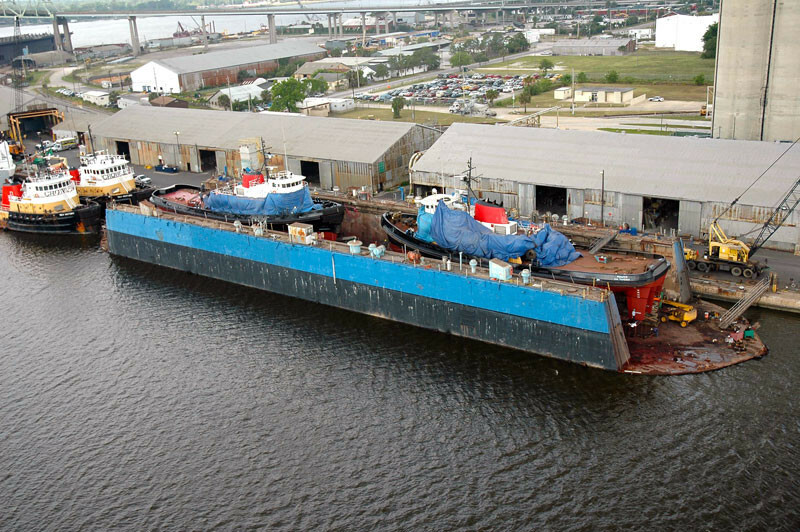 After its closure, the City of Jacksonville acquired the former shipyard, successfully selling the northern portion of the property to Henry Ford for the 1924 establishment of a Ford Motor Company Assembly plant. One of 16 satellite plants constructed after Albert Kahn’s one-story, steel-framed Ford Rouge River complex in Detroit, Fairfield’s $2 million plant employed 800 workers, churning out 200 Model A and T automobiles a day. By this time, Fairfield had become home to two small commercial districts along its streetcar line. One situated around the intersection of Church and Parker and the other at Talleyrand and Wambolt, the streetcar’s terminus. 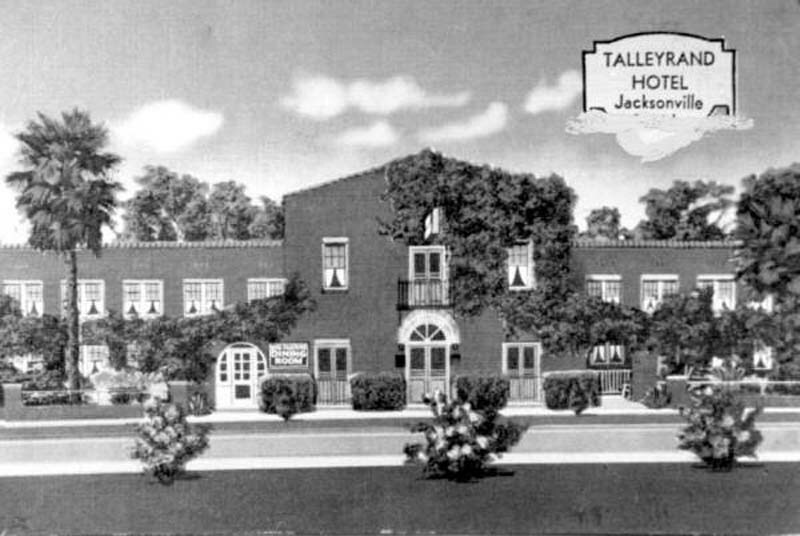 Here, attracted by the opening of Ford, the Talleyrand Hotel opened its doors in 1925. Two years later, Jacksonville opened Fairfield Stadium in Fairfield Park. As the city’s first football venue, it was built to serve as a home field for Lee, Jackson and Landon high schools. Like World War I, Fairfield would once again become a major shipbuilding center during World War II. Between 1942 and 1954, 82 liberty ships were produced at the St. Johns River Shipbuilding Company, just south of Fairfield Stadium. At its height in 1944, the shipyard employed over 20,000 workers. Bond rally for Saint Johns River Shipbuilding Company in the Gator Bowl during World War II. State Archives of Florida. Following World War II, the entertainment venues and industries responsible for Fairfield blossoming during the early 20th century, destroyed much of its original character, gridded streets, public spaces and building stock. Rebranded the Gator Bowl in 1946, several expansions of the football venue led to the complete loss of Fairfield Park. The original fairgrounds site, bounded by Marshall, Talleyrand, Jessie and Haines, became a warehousing complex in the mid-1950s. Much of the former ACL export terminal at Fairfield had been replaced by concrete operations, such as Bes-Block, Blue Diamond Mortar, and David Concrete Products by 1960. 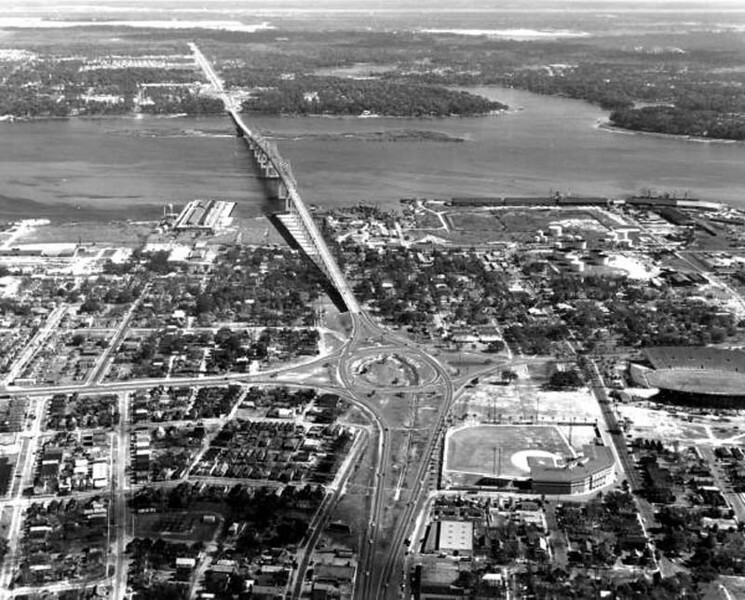 This era also saw the neighborhood was sacrificed to increase accessibility to Arlington and the Southside, with the opening of the Mathews Bridge in 1953, Haines Street Expressway (MLK Jr. Parkway) in 1962, Hart Bridge and Commodore Point Expressway (Hart Bridge Expressway) in 1967. As a result, much of Fairfield’s commercial district along Church Street was lost to accommodate interchanges with MLK Jr. Parkway and Duval Street. While the Gator Bowl has been replaced by EverBank Field and Crowley Maritime operates its terminal on much of the old ACL property, not much has changed in Fairfield in recent decades. 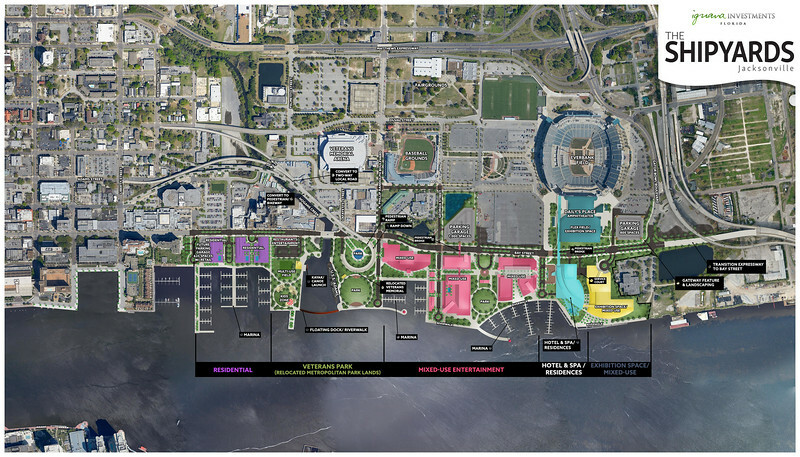 Still cut off from downtown and nearby neighborhoods by three expressways, the riverfront remains dominated by shipyards and maritime related industry and land uses are largely influenced by sports and entertainment events at EverBank Field. However, with Shahid Khan’s development proposals on the horizon and the Curry Administration’s plans to remove the Hart Bridge viaduct, Fairfield could be gearing up for the type of economic boom Jacob S. Parker envisioned nearly 140 years ago.